Digital release announcement of the new Tracy Grave record. We are pleased to announce that starting today is available on all major digital stores through Volcano Records "Sleazy Future", the new album by Sardinian hardrockers Tracy Grave. 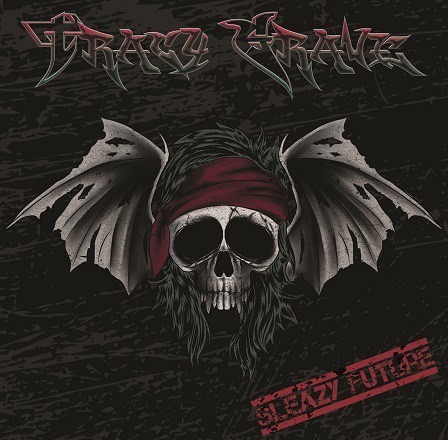 Early album by three singles, "Sleazy Future" is a work in which Tracy Grave deploy the best forces in the field, moving with confidence between the energy of metal sleaze and the more diluted and clean sounds of rock AOR. A common denominator of the album is certainly a captivating and irreverent sound at the right point, seasoned by a perfect 80s vocalism, congenial to the expressive urgency of its lyrics.